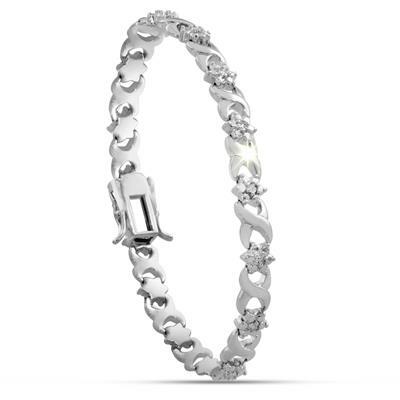 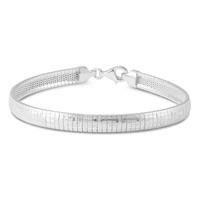 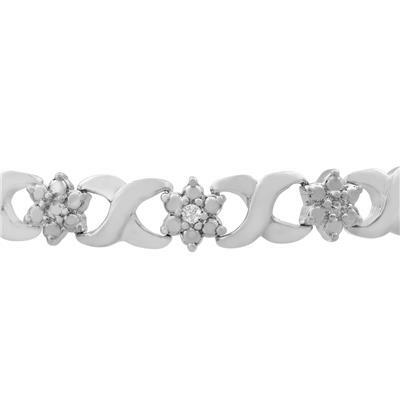 For a beautiful diamond bracelet that won't break the bank, try this platinum overlay diamond flower bracelet. 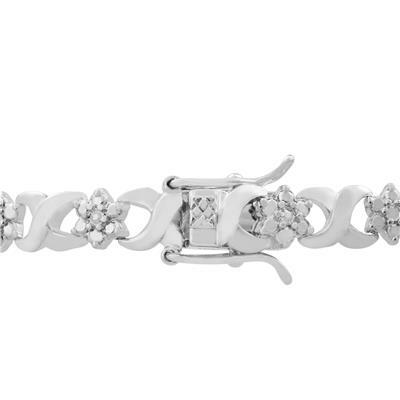 Diamond content is .01 carat in K/L color, I2-I3 clarity. 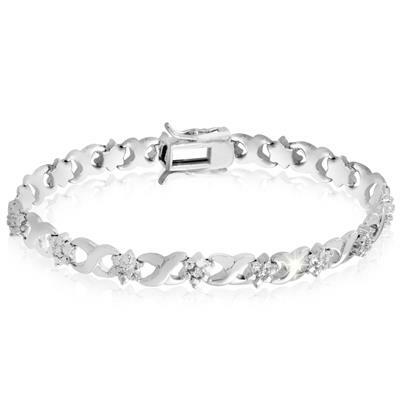 The diamond on this bracelet has a natural rose cut, so it may not have the traditional sparkle, but it will shine as the light reflects off the surface! 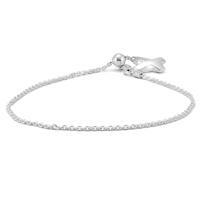 Bracelet has a secure, fold-over clasp. 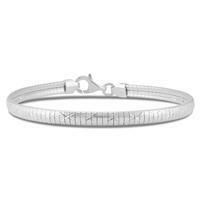 Bracelet is 7 inches long.